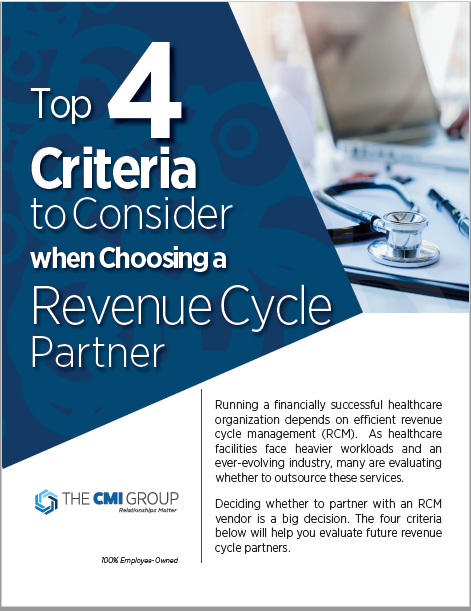 Top 4 Criteria when Choosing a Revenue Cycle Partner ebook! Running a financially successful healthcare organization depends on efficient revenue cycle management (RCM). As healthcare facilities face heavier workloads and anever-evolving industry, many are evaluating whether to outsource these services. Deciding whether to partner with an RCM vendor is a big decision. Our ebook will help you evaluate future revenue cycle partners.